Charlie Stella graduated last week. And not for the first time. Selected by his peers to deliver the Student Address (with props!) 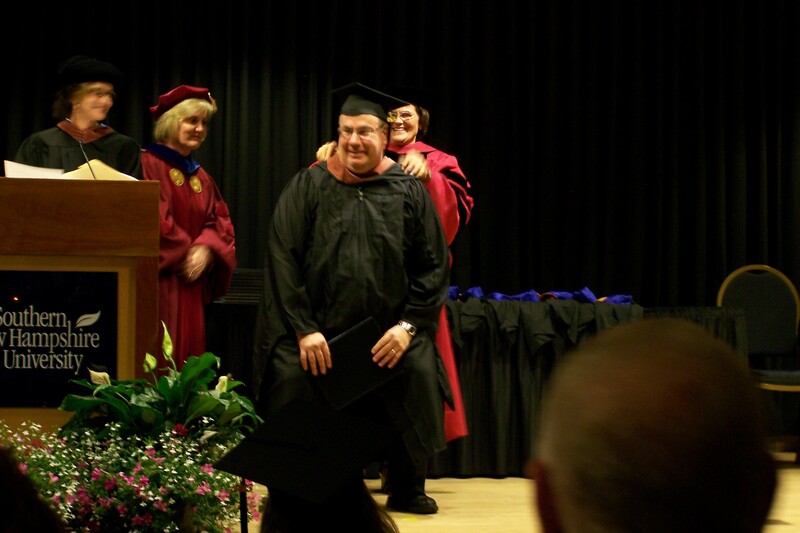 and selected by the staff to receive the 2013 Lynn H. Stafford Book Prize, Saturday, June 15th saw Charlie step up to the podium at the Robert Frost Hall on the elegant campus of Southern New Hampshire University and receive his degree as a Master of Fine Arts. 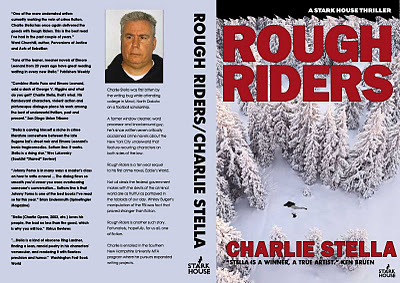 As Charlie's readers know, his talent and energy come across on every page he's written. As his friends and fellow students are aware, a bigger-hearted, more accessible man would be difficult to find. His faculty recognized this, his fellow students recognized this, and his future students will be fortunate to work under his tutelage. The ceremony itself was an enjoyable, intimate affair, and with bagpipes. Charlie's speech (with props!) can be seen at from a link at his own blog site here. Another thing you'll see is an example of the support he's giving one of his fellow graduates (earlier blog entries show other examples of this same genersosity). And speaking of actual books, we've been using the new cardboard mailers to get our books out to Crime Club members and people who order directly from the website. Beautiful things, especially when you know the books inside are going to be in pristine condition. We're going to start including a list of upcoming Crime Club shipments in each newsletter. You'll be able to see the approximate (hey, it's the business) shipping time for each book so you'll have an idea which ones you'll be receiving. If you ever want a non-crime title shipped to you, such as the forthcoming Algernon Blackwood volume Day and Night Stories / Ten Minute Stories, or Bill Shepard's wonderful collection of tales of old California, California Cornerstone, all you have to do is drop us a line and let us know. Likewise, if you ever need to skip a shipment for any reason, let us know and we'll take care of that for you, too. If you want them all, don't worry they're coming. If you find you need to skip one, just let us know. Questions or comments, be sure to drop us a line. And if you wish to get our latest releases still warm from the printer's presses, you can always sign up for our Crime Book Club and take advantage of discounts and deals on back list titles for new members.